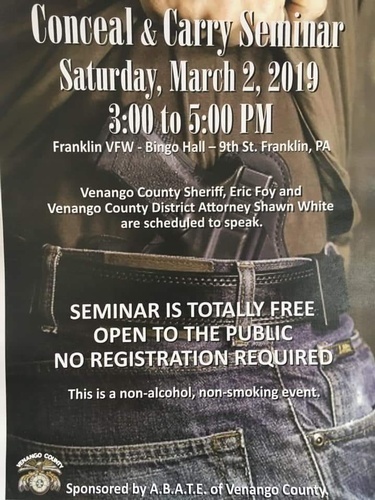 Conceal and Carry Seminar presented by Venango County A.B.A.T.E. with District Attorney Shawn White and Venango County Sherriff, Eric Foy. This event will be held at the Franklin V.F.W.